02_ custom colors : you can choose any 5 colors of our "le petit lambswool". you can discover all of the shades on the wool product page and just fill out the form underneath ! the wool : it is the biches & bûches "le petit lambswool", a natural and 100% lambswool from scotland. astrid knit this sweater with needles 2,5mm / UK 12 / US 2 + 3mm / UK 10 / US 3, as well as an optional for the 3-needle bind off on the shoulders 3,5 mm / UK 9 / US 4 needles - which you can find in our tools shop ! kit sizes : each kit has its size ! 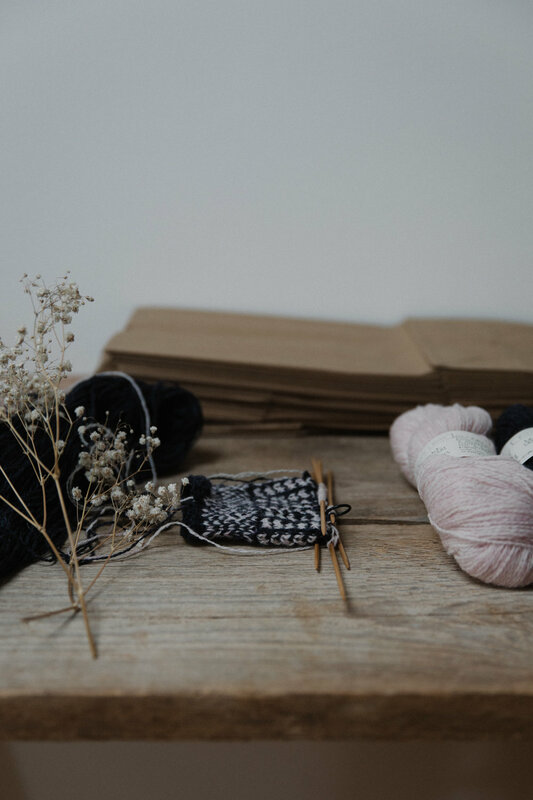 the knitting kit: your biches & bûches kit contains the wool in the chosen colors and for the chosen model size + the pattern in the selected language + the little biches & bûches knitting pouch. construction : the sweater is knit flat bottom up, in four pieces, and sewn together, beginning with a provisional cast-on.